The android 4.2 Mod Package is now available for all devices that running on Deodexed 4.1 or higher. 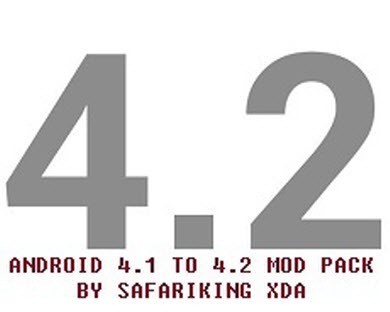 The XDA Senior Member safariking has released this universal mod pack that includes a number of android 4.2 applications. This mod pack is universal. The only thing you need to install the mod pack is a deodexed android 4.1 ROM. One sad thing about this is it cannot use on Android 4.0.4 or lower. Please be informed that this is not an actual android 4.2 update but it will be useful until a device specific android 4.2 ROM is ported or compiled. Search for ro.sf.lcd_density=160 and change that to 213.